Red Earth Indian Slate Tiles. © TrendTreasures Inc. Brick pavers and stone tiles have a lot of characteristics in common. Brick is a manufactured product, but the ingredients used are mostly natural, consisting of clay and various sediments. Stone, on the other hand, is made completely by the earth, drawn directly from the sides of mountains. However, it does have to be refined down into tiles and slabs for ready architectural use. While these materials do have a lot in common, there are some subtle characteristics that set them apart when used in various environments. Options: There are dozens of different categories of natural stone including slate, marble, limestone granite, and quartz. Each of these has numerous colors, and multi color incarnations that are available, giving you a wide variety of options when it comes time to design a flooring installation. Feel: While many materials can come close to replicating the look of natural stone, there is an inherently ineffable feel to these materials when they’re real, which comes from their mountain born heritage. That can lend a sense of power, prestige, and even vigor to a location. Textures: Stone is extracted from the earth in raw chunk slabs, which are then refined down into usable tile sizes. During this process there are a number of surface texturing treatments that can be done to effect the look of the tile. This includes leaving a slight natural cleft, honing it down smooth, polishing it, or putting it through a tumbling process. Backsplashes: There are numerous types of natural stone available, and while they are all different, many match well in look and feel when paired in an environment. That allows for the creation of unique designs, with backsplashes, counters, and floors all clad in different colored tiles, working together to create a harmonious whole. Durability: Natural stone is as hard as a rock, because that is what it is. A properly installed floor, maintained and cared for over time, can retain a look of beauty and majesty for decades without needing to be replaced. Radiant Heating: Stone is one of the most conductive flooring materials available. That means that it pairs very well with radiant below surface heating systems. That allows you to create a luxurious installation that actually toasts your toes when it is walked upon. Absorbent: While stone may seem solid, its surface actually consists of millions of tiny microscopic pores. These can be a problem when liquid spills occur, as moisture can seep down into the tile, staining it dimensionally while also degrading the material from below and within. That means that these floors will require regular sealing maintenance during, and after the installation process. Cleft: Many people love the look of naturally textured stone and clefted slate. While this can be a great rustic element, some tiles may be a little too jagged, or edged, which can cause problems when trying to walk barefoot upon them. Cold: When not heated by radiant below surface systems, stone is one of the coldest flooring choices available. Its ability to transmit heat means that it can also lose that warmth very quickly, leading to a chilly, icy surface throughout the winter. 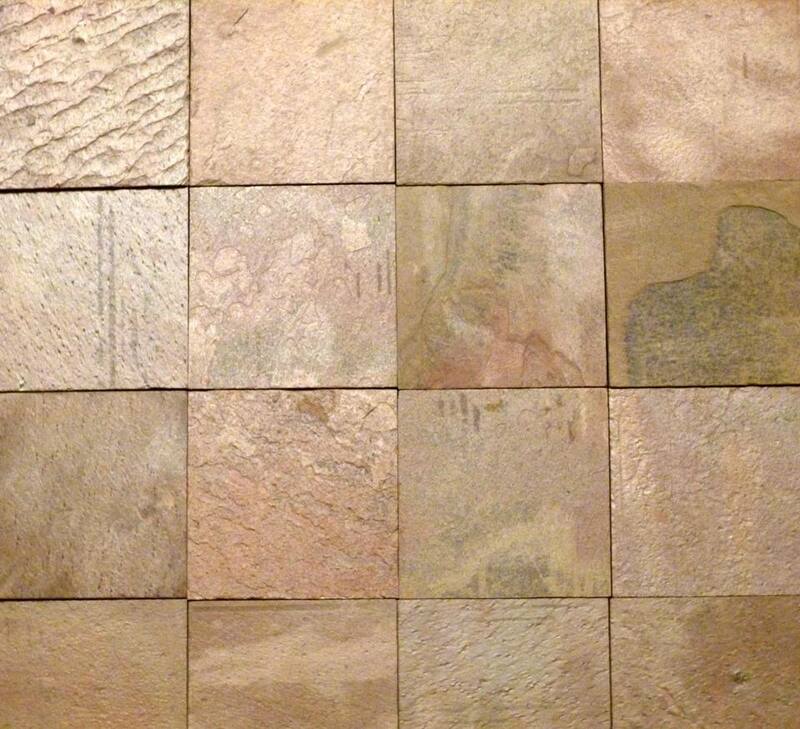 Variation: Every single piece of natural stone is unique, in color, in patterns, and sometimes in size and shape. Grade A materials will be more consistent, however there is always a possibility of some differences between tiles. That can make it hard to maintain control over an installation. Acid: Stone is a Ph Base, which means that when it comes in contact with an acidic substance it will automatically have a reaction in the form of a discoloration stain. That can be a problem when juices and sauces spill. I can also restrict the ability to use many cleansers when caring for these floors. Expensive: Stone tile materials are often quite expensive relative to other flooring options. That can give an environment a sense of high-end appeal, but it can also break the bank for budget minded remodelers. At the same time, certain types of stone can scratch, stain, or discolor if not properly cared for, ruining the long term investment. Strength: Brick is a durable option that can work in both interior and exterior locations. Its hard surface is resistant to scratches, weathering, and breakage, and if properly installed, a quality brick floor can last for decades of use. Inexpensive: These materials cost far less than natural stone, and most other hard tile options. Individual pavers can usually be picked up for less than a dollar a piece, with square foot costs ranging from $1 - $2 on average. Warmth: Brick does not lose heat as quickly as natural stone, although these floors can get cold in the winter. At the same time, there is an inherently cozy feel to these materials, that can instill a sense of hearth and comfort into an environment. Limited Colors: When you think of brick you generally get a picture of that iconic red color in your mind. While there are some products that are stained, or even painted to have other effects, that standard look is fairly consistent across a range of options. Even when treated with fancy decorative applications the pavers tend to still have the hearth and home stolid appearance that they always do. Less High End: Natural stone is considered a premium product that is used in upscale, stylish locations. By contrast, brick has a reputation as being a bargain basement option, often employed in more humble rustic and country cottage settings. However, there are some designers who are challenging these trends through creative use of very sleek brick paver flooring installations. Absorbent: While brick flooring is durable, it is also absorbent, and will be susceptible to stains, and water penetration. In interior locations, ​this can be handled through the regular application of sealing chemicals. With exterior installs the material will just weather over time, achieving an aged, personalized look.